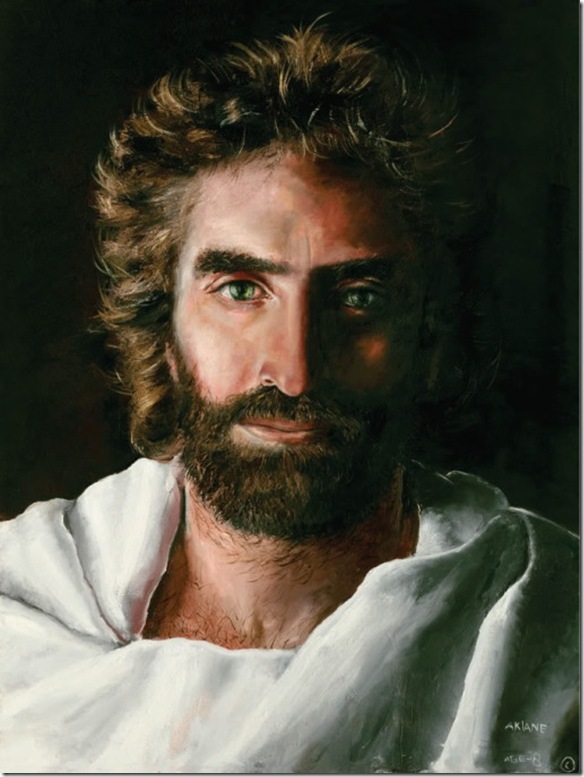 Is this the face of Jesus of Nazareth? 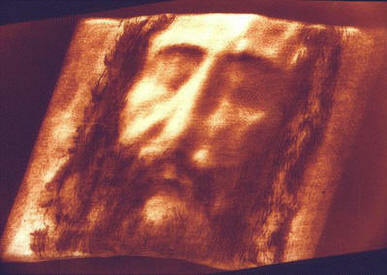 The Shroud of Turin is one of the most remarkable and mysterious artifacts in the world today. According to the Bible scripture above, Jesus was buried in a single linen cloth. Believed by many to be the actual burial cloth of Jesus (or Yeshua) the Messiah, the Shroud made its first recorded appearance in 14th century France. 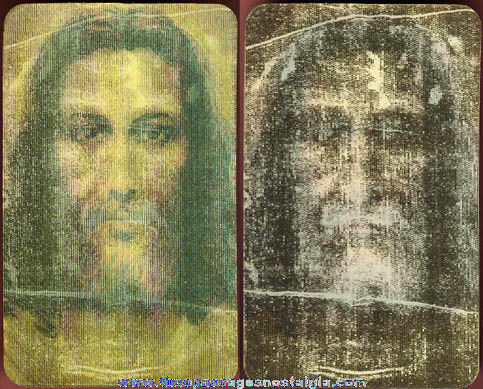 Housed in the Italian city of Turin since 1578, renewed interest was generated in 1898 when the first photographs were made of the relic and it was discovered that the image on the Shroud was a photographic negative! How was such an image made? And how does one explain the incredibly life-like, 3-dimentional details which are remarkably consistent with Biblical accounts of Jesus' execution? And why has nothing like it ever been found or created? Historians, pathologists, linguists, biblical scholars, textile experts, chemists, physicists, photographic specialists, artists, botanists, microbiologists and other scientists from around the world have been trying to answer these important questions for decades. Many have tried to dismiss the Shroud as medieval forgery. But there are no pigments to be found on the cloth - the image is somehow burnt into the fibres. And remember - the image on the Shroud is a photographic negative. Before the 19th century with the invention of photography, no one had ever conceived of the concept of a photographic negative. So to believe that it was painted on the cloth by a medieval artist, you must first believe that people understood the concept of the photographic negative 600 years before it was invented! Can you believe that? Does anyone really believe that? In fact, it is not possible to create another Shroud today even with the amazing modern technology we have (if anyone thinks it is possible, the challenge is now presented). In 1988, some scientists had obtained a sample of the Shroud and conducted carbon-14 dating tests by three different laboratories. These tests found it to be some 1200 years younger than it should have been. While scores of Shroud scientists hotly challenged the entire Carbon-14 testing procedure, as well as the test results, lay people around the world had to wrestle with what appeared to be solid scientific proof that the Shroud was a fake. So could the shroud be a fake? Could a medieval artist, or for that matter, any artist, have forged it? Then in the late 1990's it was discovered that the sample used for the dating, which was taken from a corner of the shroud, had been expertly repaired in the 1600's by re-weaving with cotton fibres. 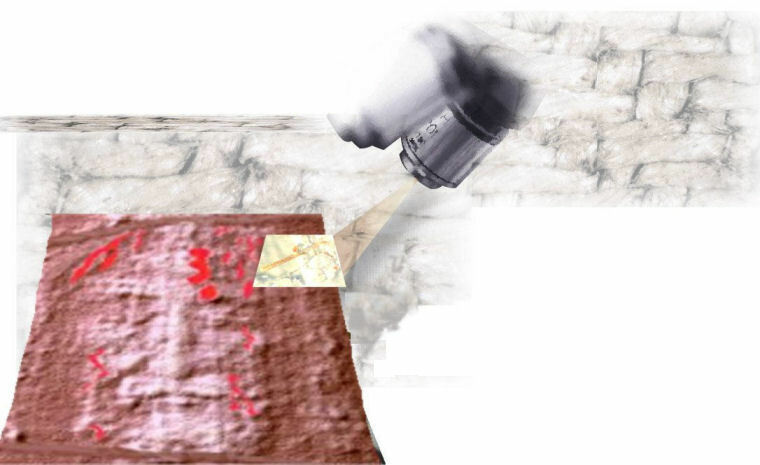 It turns out that the sample taken was from the worst possible place on the Shroud -- a corner which had been fairly recently repaired and thus contaminated. The test process failed to follow the first rule of the analytical chemistry age-dating process -- that any sample taken for characterization of an area or population must necessarily be representative of the whole. Webmaster Note: I give radiocarbon dating very little weight in dating artifacts. This is because the method assumes a billions of years old earth, which we know isn't true. If radiocarbon dating were accurate, it would never give a reading of more than about 6,000 years. Not to mention contamination of the sample. As the evidence below shows, every other metric indicates that this is a first century cloth from Palestine (specifically the Jerusalem vicinity), with an unexplainable 3-D photographic negative burned into it. The only metric which doesn't place this cloth from the 1st century is the original radiocarbon dating, although subsequent tests have shown it could be from the 1st century. Carbon dating is notoriously "all over the place" and should never be used to date things. See this page for how it really works when a rock or fossil is dated by an evolutionist. I am responding to the Aug. 29 article �Scientists debate shroud�s date.� As a scientist involved in the shroud�s study and research, and as a participant in the recent Ohio Shroud Conference where I made a presentation on �Shroud coins dating by image extraction,� I can emphatically say that there is plenty of evidence for the antiquity of the shroud as of first century origin. There were several presentations on the erroneous dating of the shroud by the 1988 radiocarbon(C-14) dating. The area where the samples were taken was from a medieval patch with cotton, which appeared to blend almost perfectly with the linen shroud. If this is true, the main body of the shroud should show an ancient date. The theory that the entire shroud could show a more recent date because of the newer carbon generated during fiery events remains to be proven. The coin identification I presented showed Pontius Pilate coins issued AD 30/31 placed on the eye area, which implies the shroud�s age is very close to that. Read more about it at www.ohioshroudconference.com. Combining ongoing discoveries about ancient Palestine with cutting-edge scientific analysis, a growing number of scientists (Christian, Jewish, agnostic and otherwise) are coming to the conclusion that the Shroud is indeed the actual burial cloth of Jesus the Messiah. 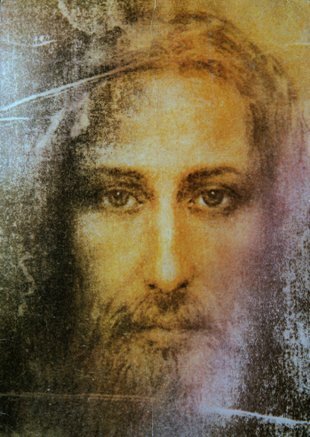 If this is true, then not only does the Shroud bear witness to the fact that a man named Jesus actually lived and died in ancient Palestine, but it may also present physical proof that a miraculous event took place after his death which caused his image to be imprinted on the Shroud. 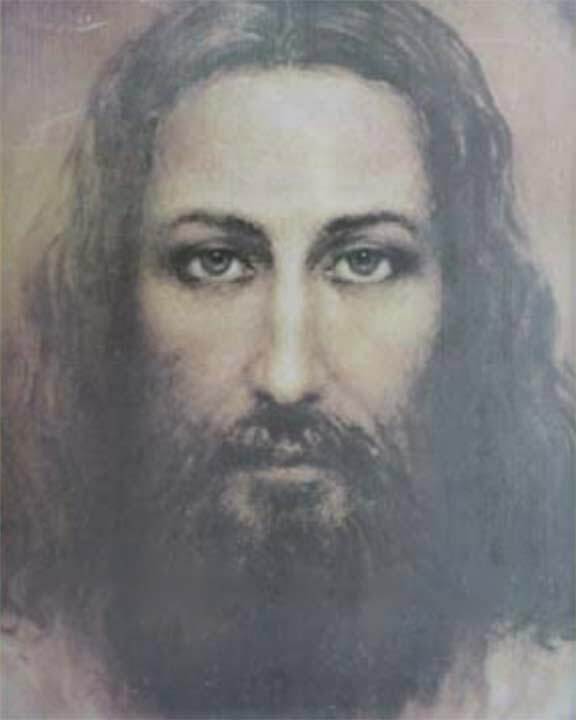 Moreover, we may also be able to learn something about Jesus himself: What his physical characteristics were like, what kind of Jewish traditions he adhered to and rejected, how he, and his body, faced a horribly violent death. and Colton said, "yes, that's him". Every testimony I've ever heard of people who when to heaven and came back to tell the story say that Jesus "looks very Jewish". This man looks very Jewish and could be the man on the Shroud. The man that appears on the Shroud was executed with nails driven through his wrists. Although artists throughout the centuries (and even stigmatists) have traditionally thought that Jesus was nailed to the stake through his palms, it is now known that Roman-style execution victims were nailed to stakes through their wrists. This is supported both by archeological digs that discovered execution victims with spike marks on their wrists (not palms) and also by studies that were conducted on corpses which proved that nails in palms will not support the weight of a body. The anatomical and physiological details of the Shroud accurately record what would happen to a man who experienced a Roman-style execution (see Robert Bucklin's pathological report at the end of this summary). The exact way the man was executed closely matches biblical accounts of Jesus's execution. Among other things, there are 120 lesions, the shape of dumbbells, distributed over the back and running around the front of the body -- probably caused by a Roman whip called a flagrum whose thongs were tipped with bits of lead or bone. There is a deep wound on the right side of the body between the ribs which bled profusely (which is what Biblical records indicate happened when a spear was thrust into Jesus's side). There are thorn-like marks on the victim's head (consistent with the crown of thorns described in the Bible). And the victim's legs were not broken (which is significant both because Roman-style executions ended with their victim's legs being broken and because the New Testament account of Jesus's death indicates that this was a Roman custom which Jesus was spared from). The beard and hair style of the executed man were not common anywhere in the Roman Empire except Palestine. The image has semitic features, including sidelocks and a unplaited ponytail. A dirt sample taken from near the Shroud image's feet was identified as a relatively rare form of calcium carbonate. The dirt was analyzed at the Hercules Aerospace Laboratory in Salt Lake, Utah, where experts identified crystals of travertine argonite, a relatively rare form of calcite found near the Damascus Gate in Jerusalem. Is it likely that a 13th century forger would have known to take the trouble to impregnate the linen with marble dust found near Golgotha in order to fool scientists six hundred years later? Images of 28 different types of flowers, small bushes, and thorns have been detected in bunches around the Shroud image. All 28 grow in Israel, either in Jerusalem or in the nearby desert or Dead Sea area. Most of them are not found in Europe. 25 of the 28 flowers matched the pollen samples found on the Shroud. 27 of the 28 plants bloom during March and April, which corresponds to the time of the execution. "There is a wound in the left wrist, the right one being covered by the left hand. This is the typical lesion of a Roman-style execution. There is a stream of blood down both arms. Here and there, there are blood drips at an angle from the main blood flow in response to gravity. These angles represent the only ones that can occur from the only two positions which can be taken by a body during Roman-style execution. "The evidence of a scourged man who was executed and died from cardiopulmonary failure typical of Roman-style execution is clear-cut." Absence of any distortions in the Shroud image. Absence of any apparent paint medium of any kind. Absence of any significant detectable silver or chromium which would have resulted from any experimentation with photographic processes. Image's imprinting on only one side of the cloth. Image's density as inversely proportional to the cloth's distance from the body. Images apparent sensitivity to cuts of thread used to make up linen in the Shroud. The final scientific dating of the Shroud has yet to be conducted since the Vatican must approve the extraction of further samples to be used in carbon dating. 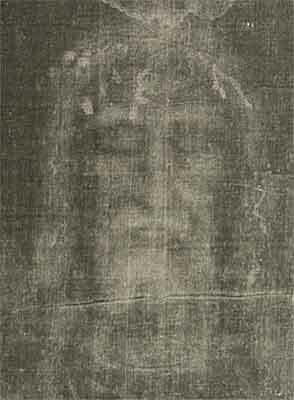 However, the Shroud can definitively be said to contain the image of a man crucified in exactly the same manner as Jesus of Nazareth; it is encrusted with human blood; it carries visible and invisible indications of scourging; and somehow was created with a three-dimensional imaging process that is still unknown in 1996. The Shroud is not a painting of any kind, it's not a primitive form of photography and does not bear any evidence of being made by human hands. It is an enigma primarily because of the controversy surrounding the carbon-dating of the Shroud and the unknown manner in which the image was imprinted on the fabric...if the fabric should subsequently be found to date from the first century then it will have been shown to be the burial cloth of a severly beaten and executed man from the near-East - almost certainly a Jew, who was wrapped in a linen cloth unwashed according to the Halachah and handled in strict accordance with Jewish Law; who wore a pony tail, a symbol of resistance against Roman occupation in first century Palestine; who had deep wounds in his wrists and feet; puncture wounds surrounding his upper forehead; a deep wound in his left side just below the rib cage which left evidence of blood and fluid; and a man whose image was imprinted on the Shroud in a manner that still defies modern science. Could it be that modern scientific technology, the end-result of rational materialism, is about to make known to the world at the end of the twentieth century the fact that the execution and resurrection of Jesus is not some ancient myth...that the resurrection of Jesus is a physical reality? 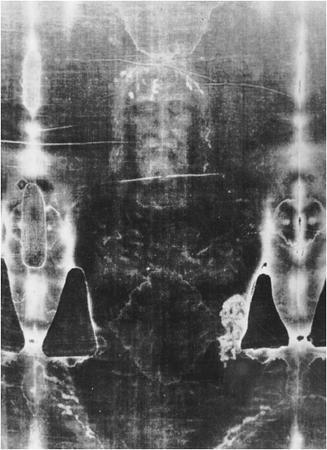 Isn't it interesting that only now in the late-twentieth century can human technology uncover the fact that the Shroud image has three-dimensional characteristics, that the Shroud contains human blood, that the person scourged was hit 120 times by two Roman flagelli and that the image appears as if it was imprinted on the fabric by an energy or chemical burst from the body it once contained - in a process that is still unknown! Perhaps the Shroud was destined for this time. The Byzantine Coins predates the carbon dating on the Shroud by over 600 years Dr. Alan Whanger, retired from Duke University, has demonstrated that the Shroud man's face also bears strong likeness, with 145 points of congruence, to a Byzantine coin that has the distinction of being the first coin in history to present a portrait bust of Jesus, dated 685-695. The scientific concensus is that the image was produced by something which resulted in oxidation, dehydration and conjugation of the polysaccharide structure of the microfibrils of the linen itself. Such changes can be duplicated in the laboratory by certain chemical and physical processes. A similar type of change in linen can be obtained by sulphuric acid or heat. However, there are no chemical or physical methods known which can account for the totality of the image, nor can any combination of physical, chemical, biological or medical circumstances explain the image adequately." COLUMBUS, Ohio, August 15, 2008 � In his presentation today at The Ohio State University�s Blackwell Center, Los Alamos National Laboratory (LANL) chemist, Robert Villarreal, disclosed startling new findings proving that the sample of material used in 1988 to Carbon-14 (C-14) date the Shroud of Turin, which categorized the cloth as a medieval fake, could not have been from the original linen cloth because it was cotton. According to Villarreal, who lead the LANL team working on the project, thread samples they examined from directly adjacent to the C-14 sampling area were �definitely not linen� and, instead, matched cotton. Villarreal pointed out that �the  age-dating process failed to recognize one of the first rules of analytical chemistry that any sample taken for characterization of an area or population must necessarily be representative of the whole. The part must be representative of the whole. Our analyses of the three thread samples taken from the Raes and C-14 sampling corner showed that this was not the case.� Villarreal also revealed that, during testing, one of the threads came apart in the middle forming two separate pieces. A surface resin, that may have been holding the two pieces together, fell off and was analyzed. Surprisingly, the two ends of the thread had different chemical compositions, lending credence to the theory that the threads were spliced together during a repair. LANL�s work confirms the research published in Thermochimica Acta (Jan. 2005) by the late Raymond Rogers, a chemist who had studied actual C-14 samples and concluded the sample was not part of the original cloth possibly due to the area having been repaired. This hypothesis was presented by M. Sue Benford and Joseph G. Marino in Orvieto, Italy in 2000. Benford and Marino proposed that a 16th Century patch of cotton/linen material was skillfully spliced into the 1st Century original Shroud cloth in the region ultimately used for dating. The intermixed threads combined to give the dates found by the labs ranging between 1260 and 1390 AD. Benford and Marino contend that this expert repair was necessary to disguise an unauthorized relic taken from the corner of the cloth. A paper presented today at the conference by Benford and Marino, and to be published in the July/August issue of the international journal Chemistry Today, provided additional corroborating evidence for the repair theory. You can also google "Benford and Marino" and "Ray Rogers" who was a scientist involved in the testing.